Bundled for Armageddon, Texan auto journalists huddled beneath a bigtop barely built for the bluster: unseasonable sleet transformed this rolling pasture into a mud pit, threatening to test the mettle of the latest trucks and crossovers. Three years in Michigan must have hardened me, because I couldn’t be deterred. I gulped down a hot chocolate and headed for my prize: just two weeks earlier, Toyota brought a pre-production RAV4 to the Texas State Fair. My Instagram brain trust echoed my sentiment: Toyota’s volume model had suddenly become interesting, against the odds. We had to know more. We had to get a closer look. 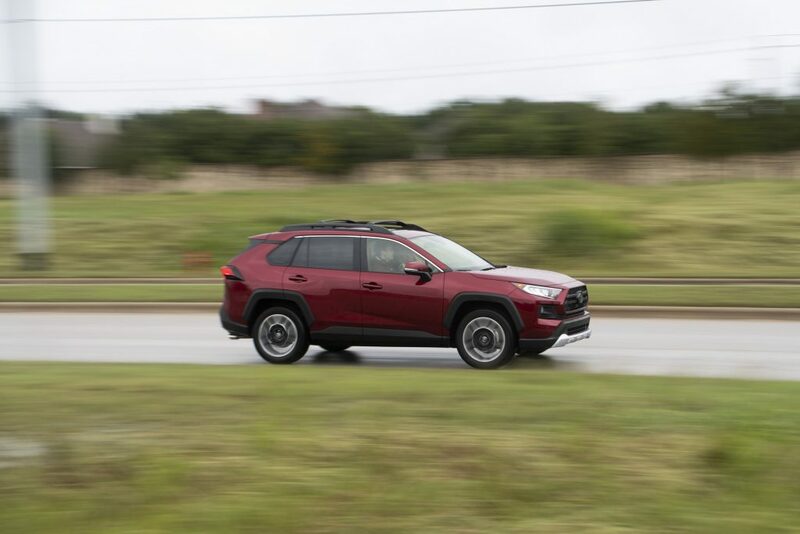 Deep under embargo, long before the national press preview, Toyota brought RAV4 Hybrid and Adventure trims to the Texas Truck Rodeo for a hushed off-road debut — but bad weather threatened to end this exclusive experience before it even began. Grass soaked into slop. Diligent Texas Auto Writers Association leaders began devising a contingency plan. Before they could call off the event, I hustled to the new RAV4, knowing an observant PR rep would inevitably follow. As Marissa treaded sod, I set the heated seats and took stock with a critical eye. For years, I’ve complained about Toyota’s generic switchgear fonts, devoid of any romance and in most cases lacking continuity throughout the cabin. This time, everything synced: a clear and modern sans-serif font unifies each switch from the door panel to the center stack. Finally, relief. I was warmed. Marissa jumped into the right seat, as excited for my chance to drive as she was worried about someone breaking the month-out embargo. I snapped a photo of the gag order hanging from the rearview mirror, and mostly listened to her wide-angle video mirror pitch, but honestly, my mind was set on taking off. Seduced by this interior, I had to know if the new RAV4 had driving dynamics to match. I shifted into gear. As we set off into sopping hills, I realized I’d picked the Hybrid. Elegant transitions from electric to gas power mark Toyota’s most refined implementation of their Hybrid Synergy Drive system to date. No jarring noises or jerky movements. No sponge beneath the brake pedal. No depressingly weightless wet noodle of a steering wheel. The RAV4 Hybrid feels like a real and solid car — welcome reassurance as the weather worsened and its handler got nervous. After all, this was one of only a handful of plated RAV4s in the country, and even fewer had been piloted by media. Ostriches, rattlesnakes, deer and bovine roam the Longhorn River Ranch’s rocky passes, split by creeks running directly through the Truck Rodeo test routes. Our entry-level softroading route crossed atop a concrete creek dam, now washed out by pouring rain. Water spilled over the bridge, but at this point, there was no turning back. We watched a Wrangler cross carefully. Our turn. Slowly, we crept forward into an inch-deep stream, onto a bridge barely wider than the car. I sensed Marissa holding her breath as a smile escaped mine: we were trekking farther than most RAV4s will ever go, into the most extreme terrain imaginable for a crossover, but I felt total confidence. 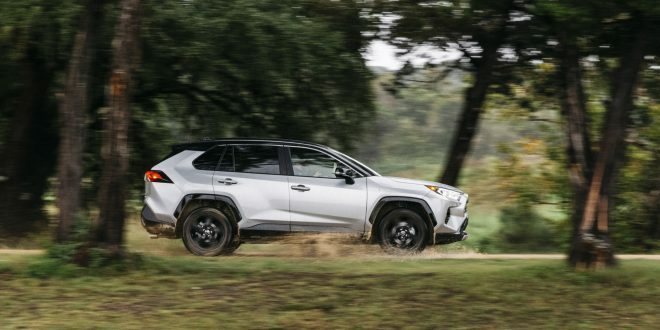 Toyota’s press release says that’s because the RAV4’s chassis is lower, wider and 57 percent stiffer than the outgoing model. I say it’s because, at last, the RAV4 carries the emotional weight and design substance to establish the kind of trust that transforms a driver into an adventurer. Over narrow craggy two-track, the RAV4 absorbed high-frequency vibration, transmitting only faint movements to the steering wheel. Darting around rocky bends, any nudge of the accelerator was met with a surge of electric torque. At this point, I recognized the sporting intentions of the range-topping XSE Hybrid: blacked-out mirrors, fender flares, roof and wheels hint at a stiffened suspension underneath. The most powerful RAV4 in the range, the Hybrid’s electrically driven rear wheels create an AWD setup that Toyota tuned for fun. The conventional gas-powered RAV4 Adventure, on the other hand, sports a slicker driveline trick. Torque-vectoring all-wheel-drive helps it shed “softroader” stigma, granting it genuine off-pavement capability in uneven terrain. The system locks in 50/50 mode, handy for inclines or shifting terrain. Back on asphalt, the system sends torque to the rear wheels during a curve, naturally matching the driver’s level of aggression. This isn’t a racecar — but the active torque split readout in the instrument cluster sure made me feel like I was in one. 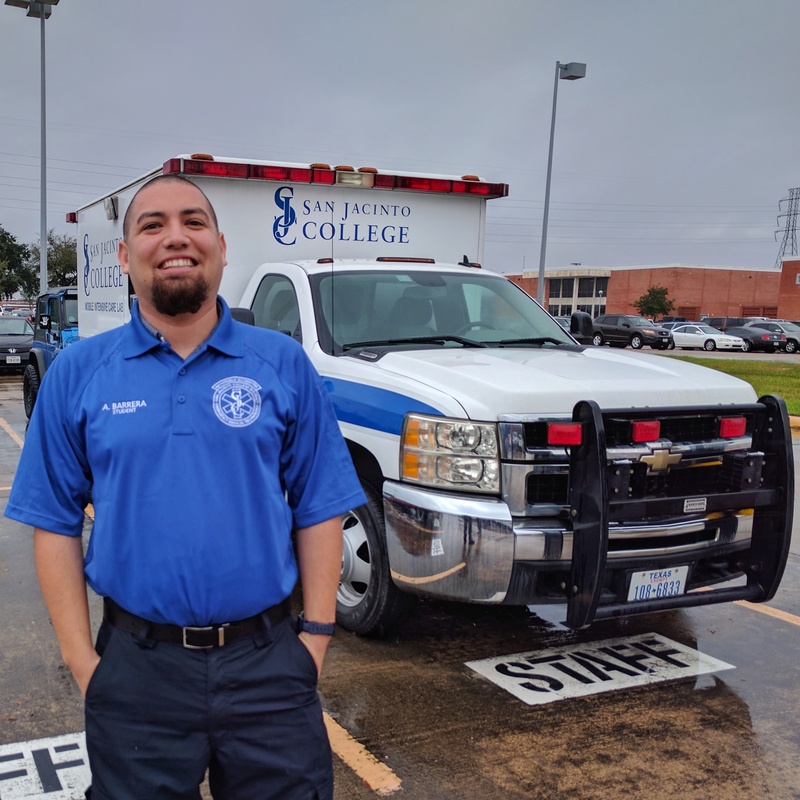 TAWA made a safety call to relocate our event to suburban Austin surface streets, as freezing drizzle and pooling water better represented worst-case real-world conditions drivers in warm climates might someday face. 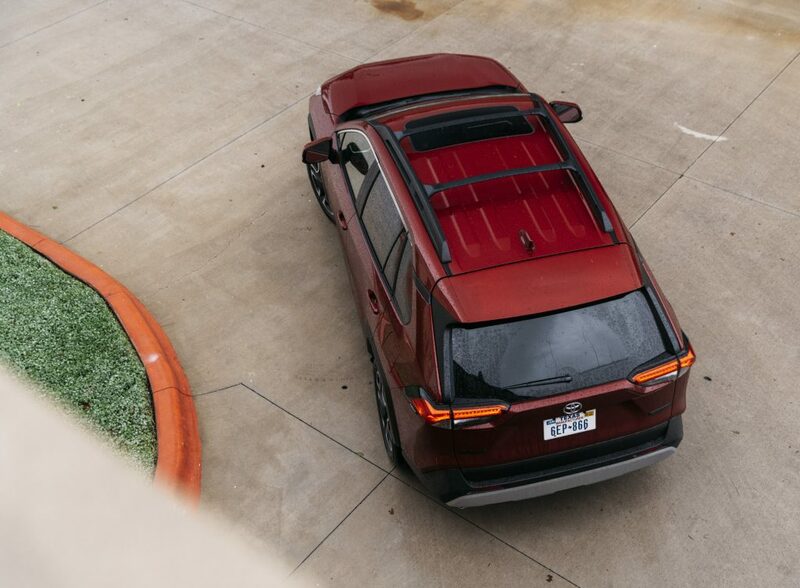 The RAV4’s standard suite of active accident avoidance systems, including improved low-light pre-collision and pedestrian detection, added peace of mind in a soaking suburb filled with as many inattentive drivers as bike lanes. At stoplights, I gazed down at the technical textures in play, from the turbine-slatted volume knob to the non-slip storage nook carved into the passenger dash. Futuristic, simple and sophisticated, the RAV4’s cabin hides details that will capture drivers’ interest long after it’s paid off. We saw the new RAV4 together at the State Fair of Texas — and we were stunned. You and I were curious to get behind the wheel. Hit the link in my bio after 7 AM Eastern tomorrow to hear about my time behind the wheel. As I squeezed onto the gas and the eight-speed automatic stepped up through the gears, I noticed Toyota consciously allowed a measure of engine noise into the cabin. In a world of tomb-silent interiors, hearing an engine again could have been a welcome surprise. Unfortunately, the RAV4’s engine note itself is not particularly pleasant, leaving me longing for the days of yore when every Toyota from the Previa to the Celica seemed to serenade at any RPM. Akio Toyoda, heir to his grandfather’s car company and racecar driver in his own right, would understand my wistful recollection of that era. He made a solemn promise when he ascended to the helm: Toyota would once again make cars to create an emotional connection. Historians like me, who intimately knew Toyota’s best heritage, were skeptical. We were wrong. This is Toyota’s moment, but not because of a new Supra. The new RAV4 proves Toyota truly cares to bring emotive driving to the masses again, through high-style interior design and unexpected athleticism in segments where driving pleasure is no longer a top desire. Perhaps most RAV4 owners won’t ever squeeze the accelerator before the apex of a turn, experiencing a torque shift to the outer rear wheel, carving in a perfect arc. That didn’t stop Toyota from trying to remind their pilots what it’s like to love to drive.